Thermage CPT treatment is used for improving the tone and texture and adding glow to the skin. It also reduces fine lines and pores. Thermage CPT System uses thermal energy called radiofrequency wave and applies it to the surface of the skin while cooling the skin. This process increases the production and growing of the collagen tissue which proliferates the vitality of the skin and powerfully tightens sagging facial skin.This revolutionary treatment does not require any downtime.Most patients can see and feel Thermage CPT results very soon after treatment – in as little as one day. Continued improvements and contouring can happen for up to six months as your skin cells regenerates collagen. Your skin cells actually produces new collagen which is how the collagen matrix thickens and creates a smoothing effect. Even better, results can last years. 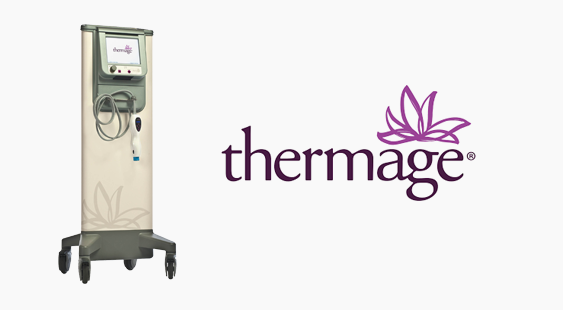 Thermage CPT is successfully used to eliminate sagging skin and slimming the facial contour. The treatment is also beneficial for tightening the pores. Wrinkles and sag of skin are the most common complaints we hear. Bags under the eyes, laugh lines, saggy and puffed facial contour… these features make you look older. Thermage CPT solves all these troubles. The treatment improves sagging and tightens the skin and even prevent future sagging. This is why Thermage CPT is known as the non-surgical face lift. Thermage CPT is the only alternative for the surgical face lift procedure when it comes to fundamentally and surely treating sagging of the skin. Surgical face lift is an option to achieve immediate and assured result. However, because surgeries cause swelling and obvious changes and leave scars, Thermage CPT would be the only realistic choice for most people. In 2006, the FDA approved Thermage for use on the body as a safe method of reducing skin laxity in regions such as the arms, abdomen, thighs, and buttocks. Because Thermage is fast, painless, and highly effective, Thermage for the body has become known as “the tummy shrink lift” and “the tummy heat shrink procedure” on popular television shows. Thermage has been successfully used to tighten skin in the abdominal region, thighs, and buttocks, and it even eliminates sagging skin on the arms. It can also be used to improve the texture of rough skin and repair areas with mild body acne scars. Ideal candidates range in age from 30 to 60, as results are generally less dramatic with extremely loose skin. Body Thermage treatments are effective for people of all skin types and skin tones who want to have tighter, more youthful skin. Frequency of Therapy: Once in six months to one year. *The collagen production starts to return to normal usually in the course of 6 months. However, this depends on ages and skin conditions. For best results to retain beautiful skin, the treatment is recommended for once in 6 months to one year. Thermage CPT requires little downtime. Face can be washed as usual and makeup can be applied immediately after the treatment. 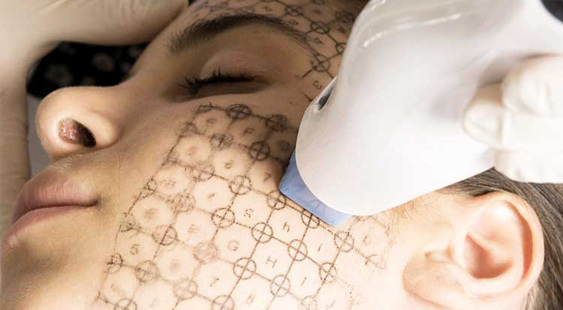 The radiofrequency energy is applied at adequate level and in appropriate directions, depending on the skin condition. The possibility of feeling the heat and occurrence of the risks also varies depending on the skin condition of each individual. Here at Skin Attraction, our aestheticians have completed the training directly carried out by Solta Medical. Our certified aestheticians constantly checks the skin condition and make appropriate adjustments of the irradiation levels and directions throughout the treatment. Those who have metal implant in the skin such as gold thread. Those who are pregnant or breast-feeding. Those who have internal medical conditions. Those who are keloid diathesis.